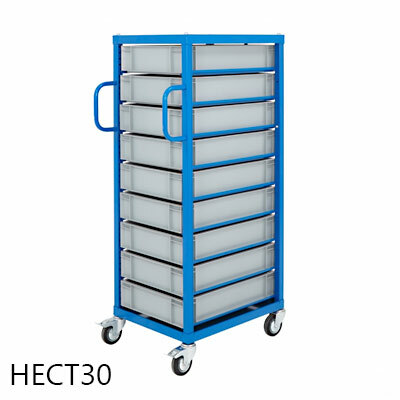 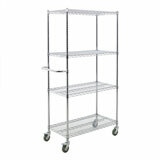 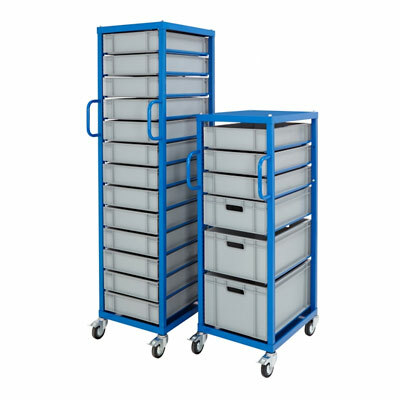 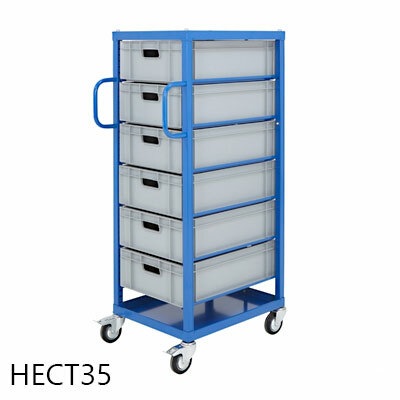 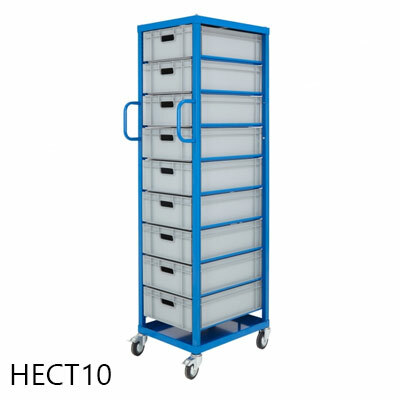 Available in a range of industry standard configurations, this euro container trolley is ideal for use in busy picking environments, workshops and for mobile product storage. 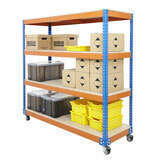 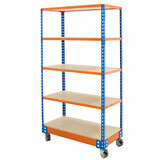 The solid steel frame is finished in blue powder coated paint and stores custom fitting euro containers. 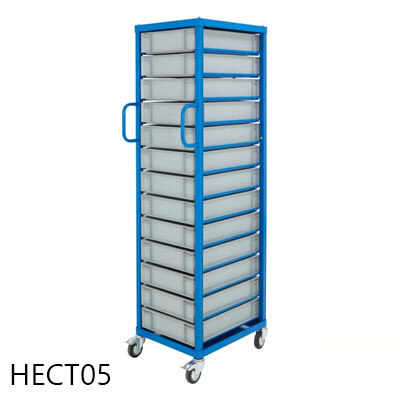 The fully adjustable steel runners and heavy duty swivel castors ensure the trolley is suitable to hold a maximum load capacity of 200kg. 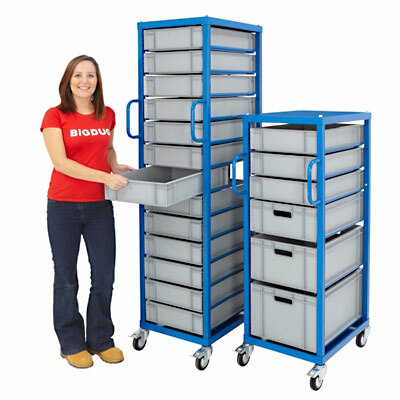 Ergonomic handles make the trolley effortless to move around your warehouse space, whilst the retaining bars at the back of the trolley ensure the containers can’t be pushed through and fall out.